A friend of the victim says Jews often pay protection money to locals but that this time the attackers did not want money, just blood. Schwartz added that the Jews who live in Uman are “well aware of the locals' character” and that they have solved numerous incidents of violence by paying money “so as not to raise the flames.” In this case, he said, there was no way of talking to the attackers, who had come to kill Jews and not for any other reason. "They did not take the wallet nor the cell phone," he noted. "There's no other reason. It was murder for murder's sake. 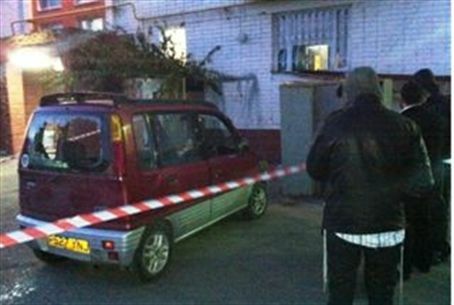 All the circumstances indicate that the murder was because he was Jewish." Asked if the hassidim at Uman are organizing for some kind of revenge, Schwartz said all the Jews' resources are now directed to returning of the victim's body to Israel for burial. "We do not want to create animosity with the neighbors," he said, but added that he expects local authorities to come up with a deterrent against the anti-Semites, by increasing police presence or some other means.